YouGrids the first Joomla! 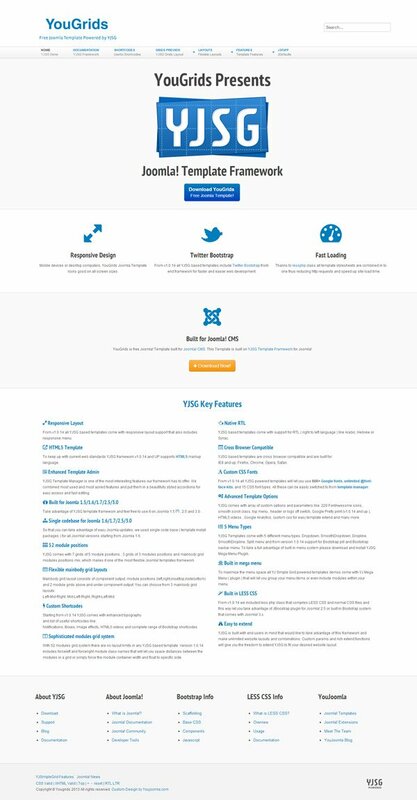 Template Based on YjSimpleGrid Joomla! Template framework. Loaded with full set of YJSG features, 3 beautiful styles and unique layout options. YouGrids is free Joomla! template and it can be adapted to any web concept. 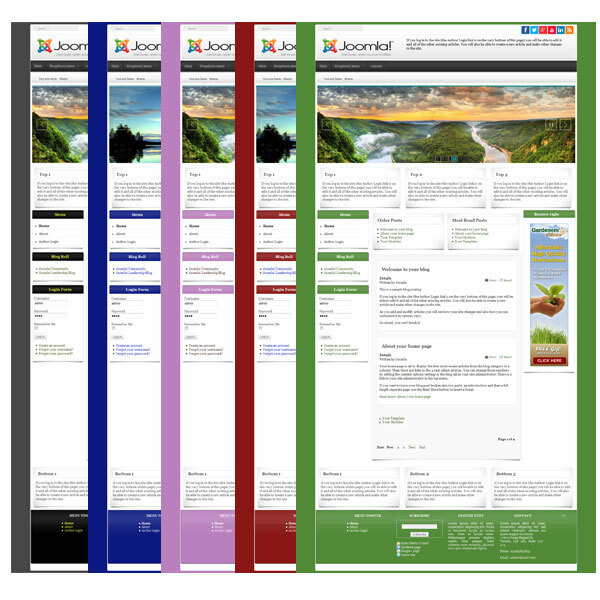 This template is compatible with Joomla 1.5 Joomla 1.6 Joomla 1.7 Joomla 2.5 and Joomla 3.x.